With an abundance of lakes and rivers in the area, Patrick County, Virginia has several opportunities for first-class fishing. 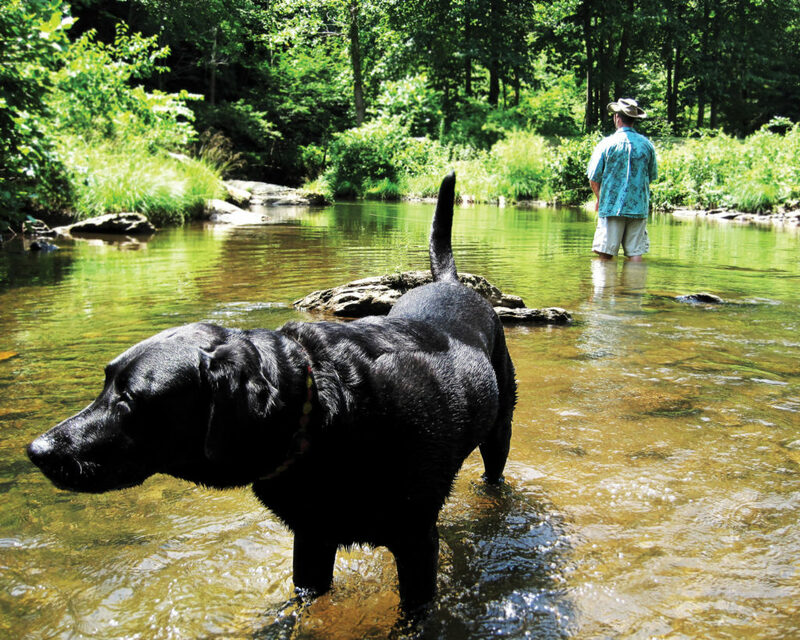 Make your way along the Dan River, flowing from the Blue Ridge Mountains, as you chase brook, rainbow, and brown trout. The many landscapes of the river offer a variety of fishing opportunities, including access via small motorboats, hand-carried boats, and wade fishing. You will also find bass, sunfish, walleye, and more on this unique river. The Kibler Valley section is a Category A put-and-take trout stream. Right off the Blue Ridge Parkway, you will find Rock Castle Creek. This cold and rocky stream is great for fishing wild trout in addition to pickerel and sunfish. 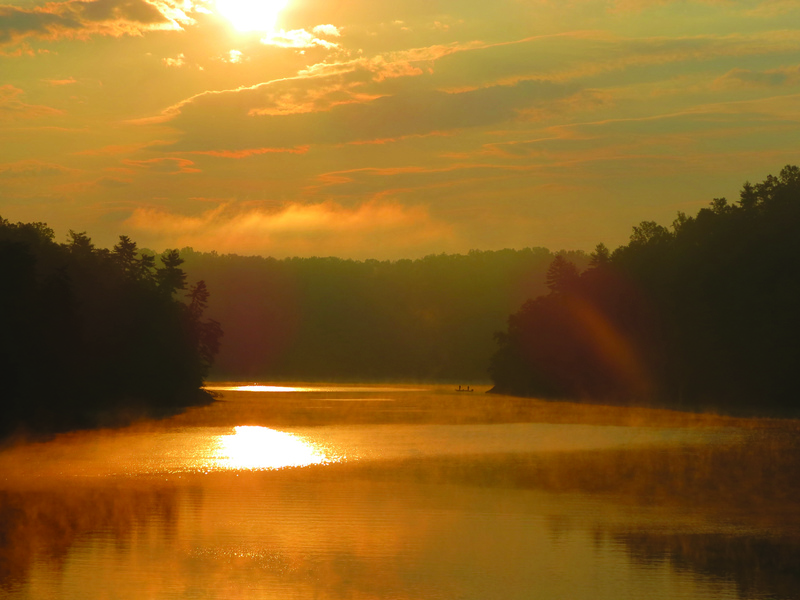 At the northeastern part of the county, Philpott Lake offers an undeveloped backdrop for a day on the water. This lake is popular for its largemouth and smallmouth bass, crappie, and catfish. It is also one of Virginia’s premier destinations for walleye. Several boat ramps, campgrounds, and hiking trails are scattered around the 2,880-acre lake, making this an ideal destination for a weekend getaway. Adjacent to the lake, Fairy Stone State Park offers fun for the whole family. 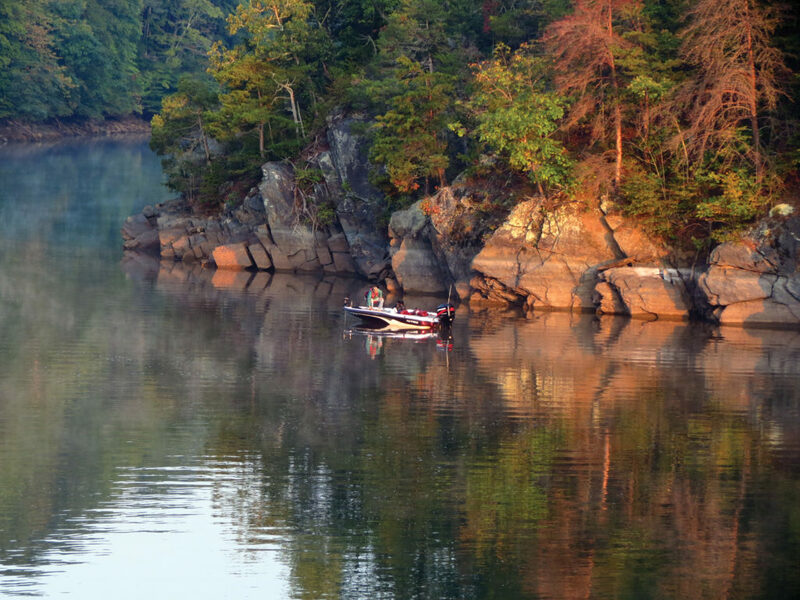 Rent a boat for the day to cast your line on Fairy Stone Lake for bass, bluegill, and crappie. Hike, bike, or ride a horse through the 10 miles of multi-use trails or hunt for fairy stones, Staurolite crystals only found in a few places around the world. Visit the Primland Resort for a variety of activities, including sport shooting, archery, and tomahawk throwing. Sit down for local dishes at Elements, drinks at 19th Pub, and southern cuisine at Stables Saloon. Stick around until it turns dark for stargazing at the Observatory Dome. Check out the Virginia Motorsports Museum and Hall of Fame and the Wood Brothers Racing Museum for a deep dive into NASCAR history and the oldest continuously operating team. At the end of the day, chow down on pizza from Elizabeth’s Pizza or Crooked Road Café. Get your fill of seafood, burgers, and homemade potato chips from the Stuart Family Restaurant and wake up in the morning to a cup of coffee from Honduras Coffee Company. Visit the Stanburn Winery or Villa Appalaccia Winery for locally harvested wines and stunning views of the Blue Ridge Mountains. From the rugged outdoors to five-star luxury experiences, there are many reasons to plan your next adventure to Patrick County.